Dot Wedding Cake, originally uploaded by denonmoore. 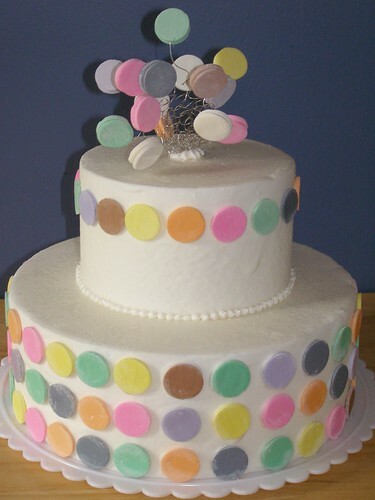 Great candy wedding cake created out of colorful Necco wafer dots to have that retro yet modern 1960's mod feeling. The top has a crown of colorful dots stuck together that looks space-aged. It reminds me of Tomorrowland at Disneyland with its atom like features, space inspired. I love the detail of pearl frosting around the middle tier. Keywords: cool wedding cakes, mod wedding cakes, retro wedding cakes, candy wedding cakes, wedding ideas for a 60's inspired wedding, non-traditional wedding cakes, non-traditional weddings, wedding for the future.